An art exhibition opened in Fort Kochi, India on Thursday -- hoping to shed light on the plight of the Indian elephant. 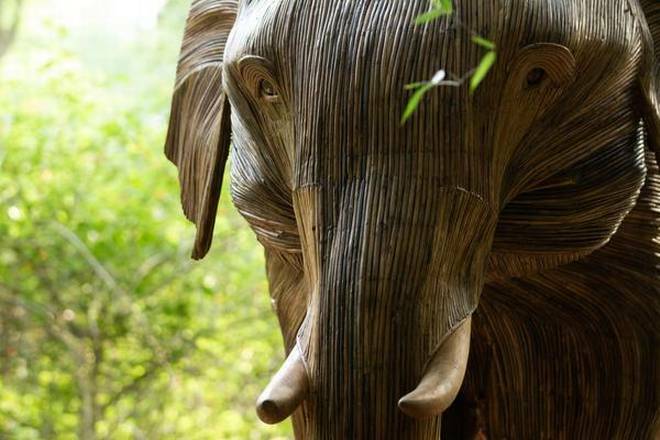 A collaboration by artist Shubra Nayar and conservationist Tarsh Thekkekara, the installation is made up of 100 life size elephant sculptures. But the beaches of India are only the first stop for these elephants -- they'll make their way to the United Kingdom and ultimately to the United States, hoping to inspire those who see them by their size and majesty and ultimately develop deeper concern for the asian elephant's continued existence. Even the medium for the sculptures is consistent with thoughtful conservation goals -- each of the lifesize beauties is made from dried lantana -- a type of plant that is toxic and invasive in India.